Lots of people have the idea that they should quit sugar. It doesn’t help that there’s a major fear campaign about sugar going on right now. There’s no question that a lot of people eat too much sugar. Some even think they’re addicted to it (even though there’s no strong evidence that such an addiction can exist). They realize that they like sugar a lot, probably too much, and they think that in order to avoid eating too much sugar, they should just cut it out entirely. I usually don’t recommend people cut out sugar entirely. There are a few reasons for this. It’s basically impossible to actually do. Natural sugars are in everything. When you decide to go “all the way” and cut out sugar entirely, you quickly realize you have to make all sorts of concessions to that rule, or you can’t eat anything. These blurry lines get even blurrier when we consider other sweetening agents (like honey). Forbidden fruit syndrome. There’s a human tendency to crave what we are told we can’t have! When we tell ourselves that sugar is entirely off limits, it can make it even more difficult to resist the sweet pull of sugary snacks. It’s not necessary. There aren’t any clinical studies that show that sugar addiction is a thing, or that it’s necessary to cut out sugar 100% in order to deal with a tendency to overeat sugar. Food is a source of joy. 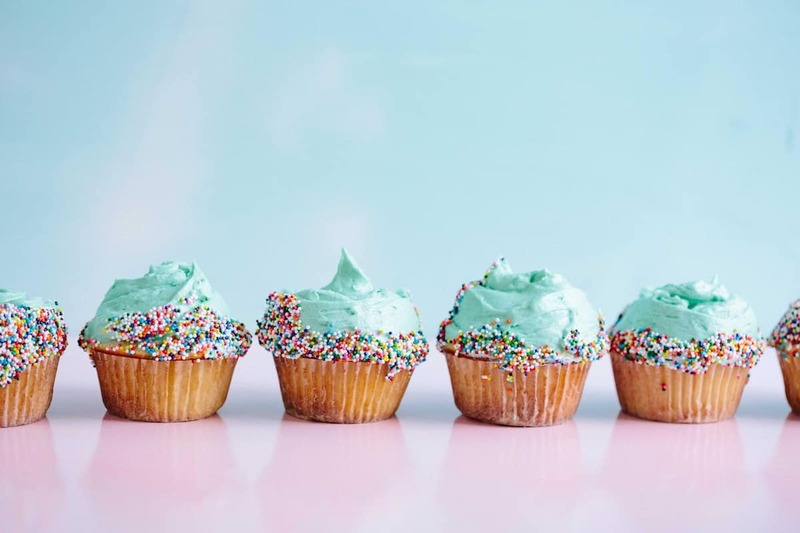 Whether it’s the birthday cake at your friend’s party, the christmas goodies at your family gathering, or just some freshly baked chocolate chip cookies that warm up a chilly day spent at home, there are a lot of joyful occasions that you need to stifle in order to cut out sugar. Based on all the evidence I’ve come across as a dietitian, I believe that there’s room for some sweet things in a healthy, balanced diet. Having said that, a lot of foods that we eat on a daily basis have unnecessary amounts of sugar. Breakfast cereals, yogurts, juice, condiments, and even mac and cheese! There is so much added sugar in a lot of food, which causes a lot of people to over-consume sugar, without even knowing it! The worst part about this is that when everything is sweet, our tastebuds get accustomed to sweetness. Eventually, everything needs to be sweet, and we don’t appreciate the really tasty sweet treats anymore because we’re used to everything being sweet. 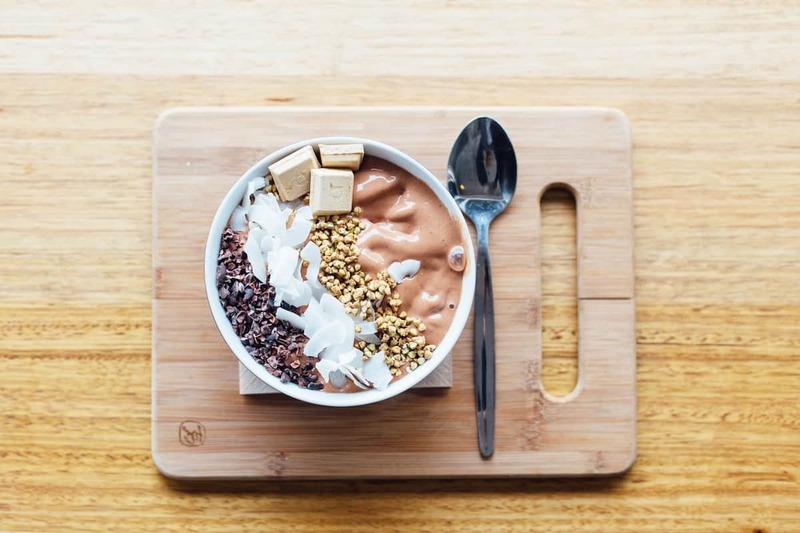 My best advice to clients is that they should work to get their tastebuds accustomed to a lower amount of sugar when eating everyday core foods. That way, when you have a sweet treat, you REALLY and truly enjoy it! And that helps to balance out the sugar intake while still allowing you to partake in the joy of eating any food you want. That’s what I call a win-win! Take an inventory to see whether your usual intake is higher than the recommendation of no more than 10% added sugar. This can be a bit tricky, since Canadian food labels don’t specify ADDED sugar (compared to the sugar naturally found in fruits and dairy, which is entirely different and not shown to be harmful in the same way as added sugar). You can use eatracker.ca for this. Just don’t add in any fruit, veggies, or dairy products. If you eat sweetened yogurt or ice cream, you’d have to factor that in separately. Look at your everyday foods…. are you regularly eating sweetened cereal or yogurt? Do you put sugar in your coffee or tea? Do you use a lot of condiments and sauces that could be high in sugar, such as ketchup or bbq sauce? Do you eat a lot of processed foods? You don’t want to get sugar when you don’t KNOW you’re getting it… because you won’t fully enjoy it when you WANT it! Revamp your choices. Once you’ve identified where you eat a lot of added sugar, work on slowly cutting back on them. If you usually order a “double double” (that’s Canadian-speak for coffee with two creams and two sugars), make it a single… for now! If you eat sweetened yogurt, dilute it by mixing in some plain yogurt, or try adding any of these 6 flavourings to plain yogurt! Our tastebuds become acclimatized to high sugar foods, but we can also slowly acclimatize them to lower sugar without sacrificing taste. Enjoy your sweets! 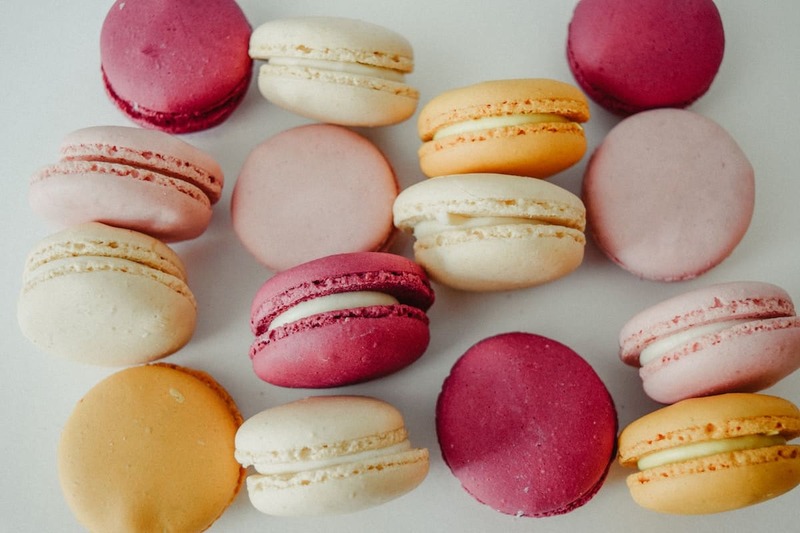 If you find you eat a lot of “sometimes” foods such as cake, donuts, candy, and chocolate that have a lot of sugar, focus on taking a smaller portion and eating it slowly in order to get the maximum enjoyment out of it! Check out some other tips for reducing your sugar intake, as well as some healthy, low-sugar snack ideas here! I always had a sweet tooth. You could hand me nearly anything sweet and I’d be happy to eat it. I tried putting limits on my sugar intake, like only having X number of cookies or not eating after certain hours. But if something sweet was put in front of me, I’d be bound to cave and throw my willpower out the window. 1) I learned some things through research, as I was studying nutrition in university and training to becoming a Dietitian. I learned how to stop overeating (more on that story here!) by not placing restrictions on myself, and by focusing on the way food tasted. Food lost its power over me and I started to become pickier about the sweet things I ate. I noticed that the cheap sweets, like packaged cookies, weren’t really that enjoyable. They were just sweet. When I focused on eating and truly enjoying quality treats, I was much happier with a smaller amount. 2) I started to desensitize myself from the sweetness level I’d grown accustomed to. I added plain yogurt to sweetened. I cut out honey from my smoothies. 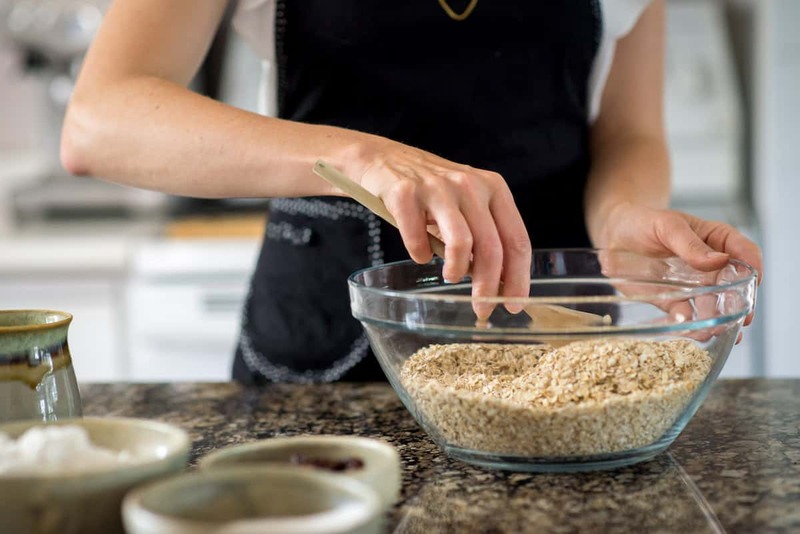 I stopped buying breakfast cereals and began making my own muesli or oats. I cut down on the sugar in my muffin recipes. Now when I have those full sugar versions, I don’t even enjoy them! The other day I was drinking a can of flavoured sparkling water when I realized that it was truly one of my favourite drinks. I didn’t choose it because I felt bad about drinking pop. I just genuinely enjoy zero sugar drinks more. This could only happen because I gradually allowed my tastebuds to be happy with less and less sugar. As with most things in the nutrition world, it’s all about balance. Cutting out an entire item from your diet is not very balanced. But you can certainly eat healthier by lowering your sugar intake, while still enjoying the occasional sweet treat! p.s. If you feel that sugar or other foods have too much control over you, check out my online program called I Quit Overeating!